On Sunday night we had a gathering of ‘The Supermums’ – otherwise known as the lovely group of friends I met attending NCT classes. It’s been a while since we managed a get together and luckily we managed to arrange a pizza night most of us could attend. 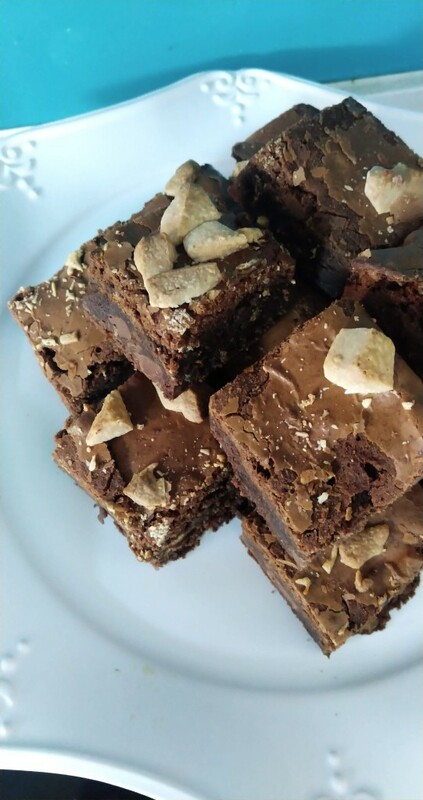 I of course offered to bring something for pudding and the request was for something chocolatey – I’m not sure you can get a lot more chocolatey than these triple chocolate brownies from Delicious Magazine. They went down very well and are the perfect chocolate treat.